(of a person) Move by jumping on one foot. That’s the “HOP” that we know. But a few weeks ago, i came across this stall in Glorietta Food Choices while waiting for my diva writer extraordinaire friend Christine. I usually see the store in malls but never had a chance to take a look at it because i thought they were selling really expensive stuff. 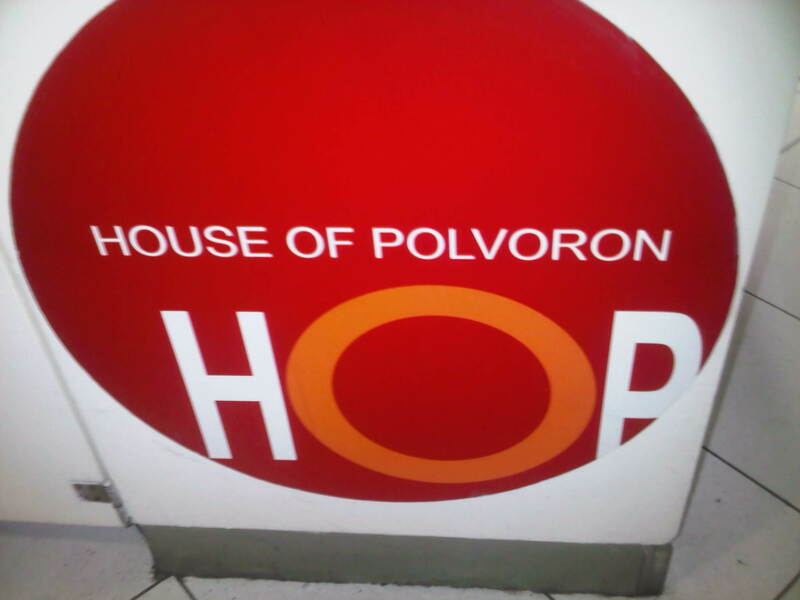 I looked closer and read HOP (House Of Polvoron). 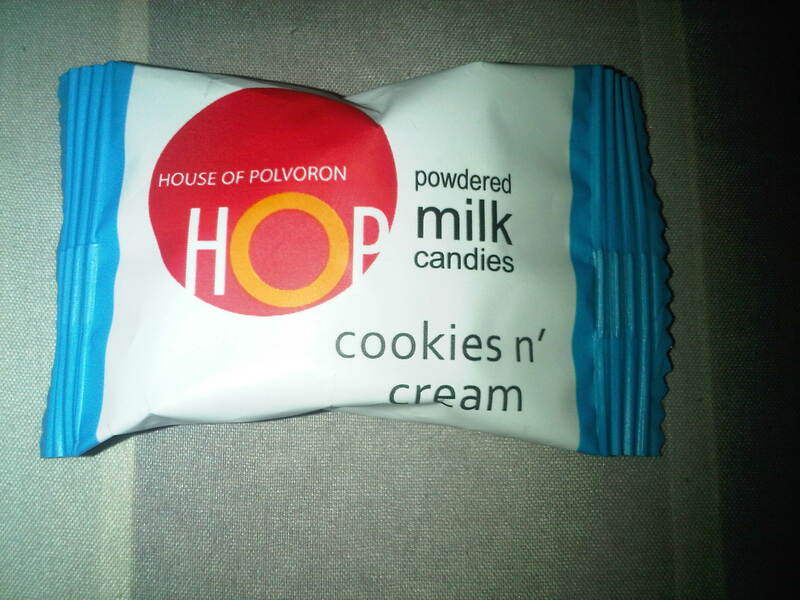 Having a sweet tooth and being a polvoron maniac, my eyes popped (well not literally) and got a little excited. The wrapping looks so expensive but i didn’t hesitate in asking the lady how much a piece. I don’t want again to exaggerate but it’s really really affordable!!!!!!! It’s cheaper than the well known bakeshop’s polvoron! So i took some change from my pocket and purchased one of those single wrapped flavours. I noticed I’m missing one flavour and I asked again the lady, she was so kind to give me a piece of their free sample! BIG OMG! 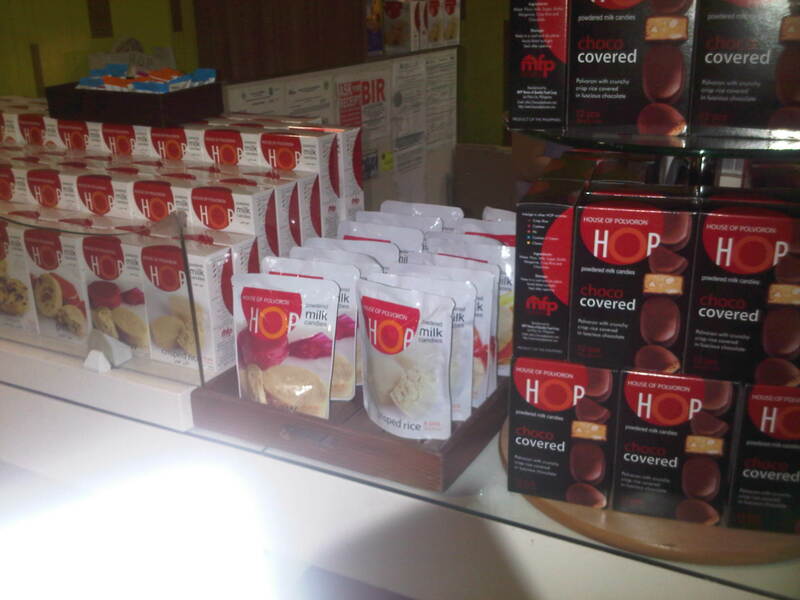 HOP WILL DEFINETELY HAS A SPACE IN MY TUMMY AND MY BLOG!! 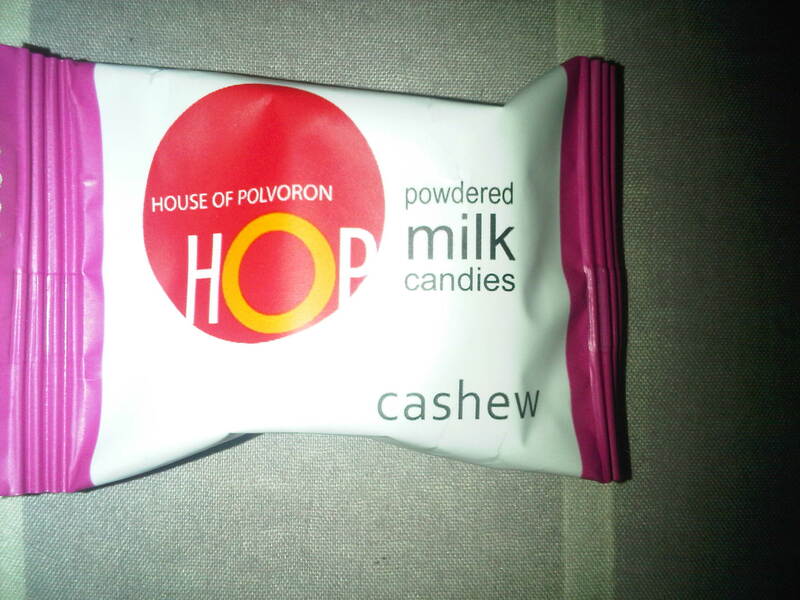 by far THE BEST(typical polvoron flavour) for me! 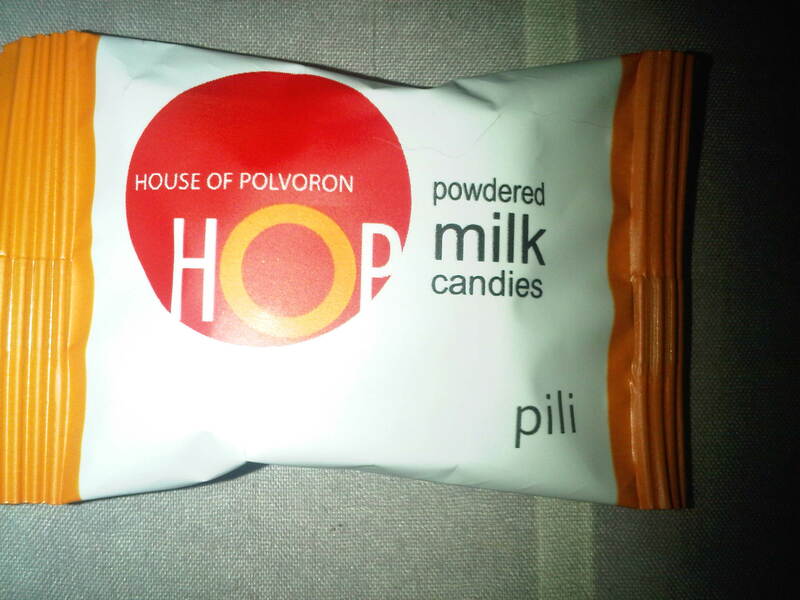 Pili nuts flavoured polvoron. Hands down, yummy! 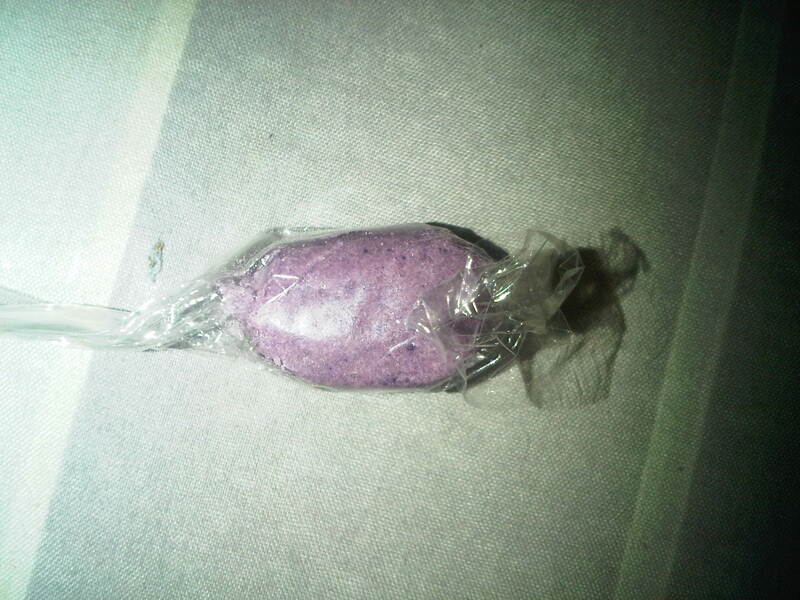 Ube (purple yam) flavour ubeliciously delightful! 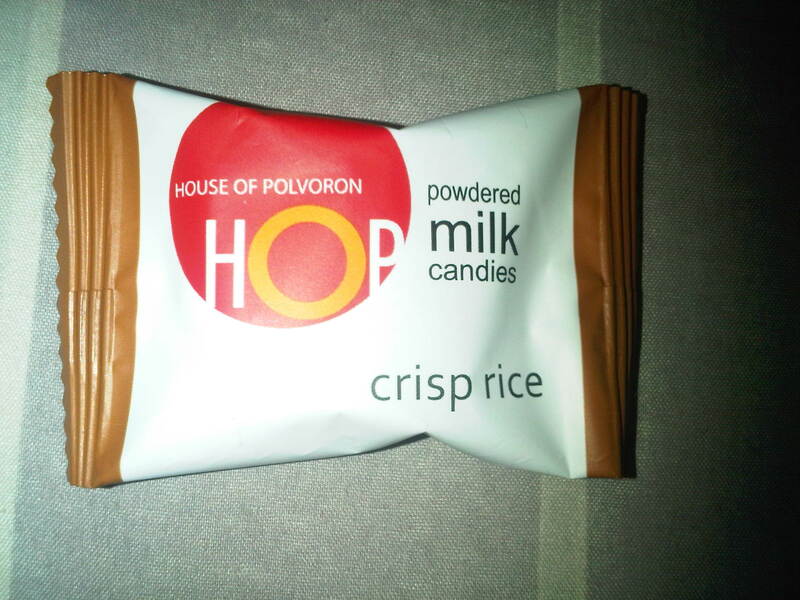 Each polvoron only cost 6.50 php! No words to describe how I loved it. They’re usually found in major malls! 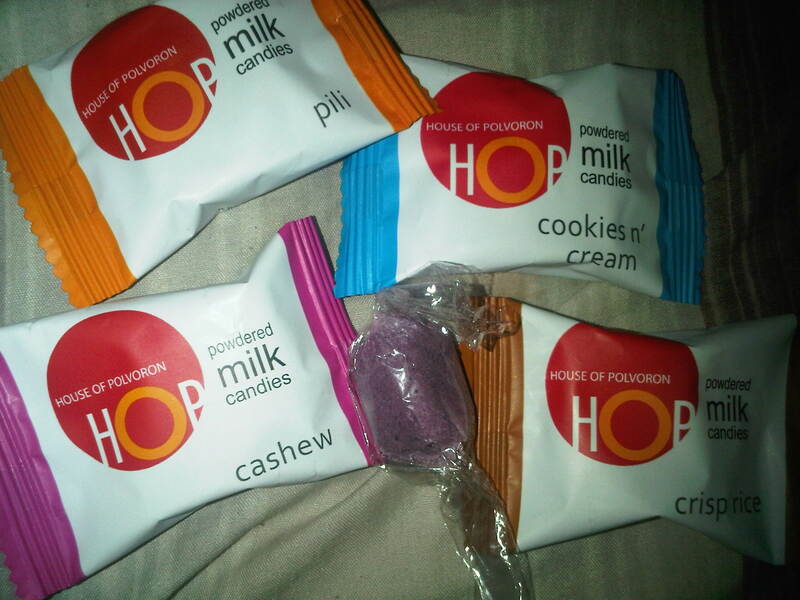 6.50 php for a yummy, high end packaging, polvoron… super worth it! The lady was so nice. She was smiling all the time and very accommodating. Very very very good. I hope hop will tell her I appreciate her service! 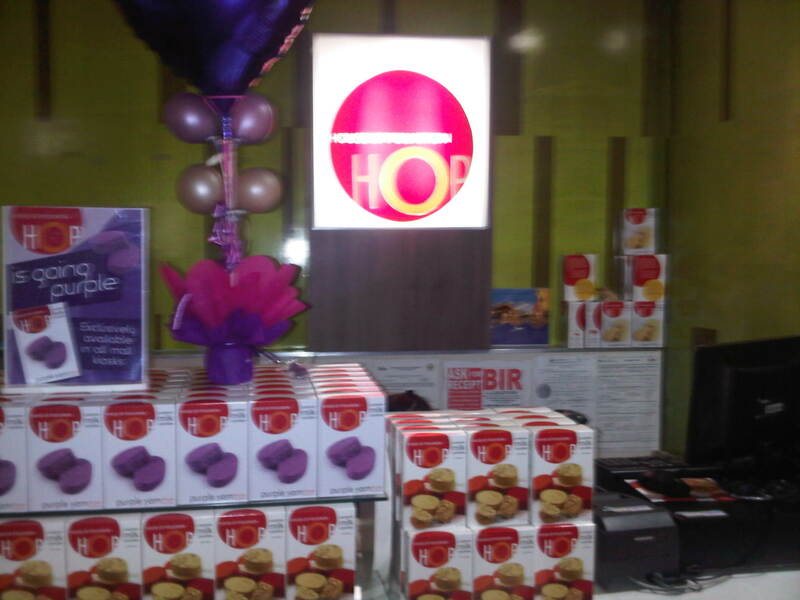 HOP cart located in SM Megamall, Glorietta 4 (Food Choices), Trinoma and Market! Market!